All residents residing in our retirement communities are encouraged to live as independently as possible. This is easier and safer in our properties because the apartments are purpose-built or adapted and you have support from our onsite care teams. 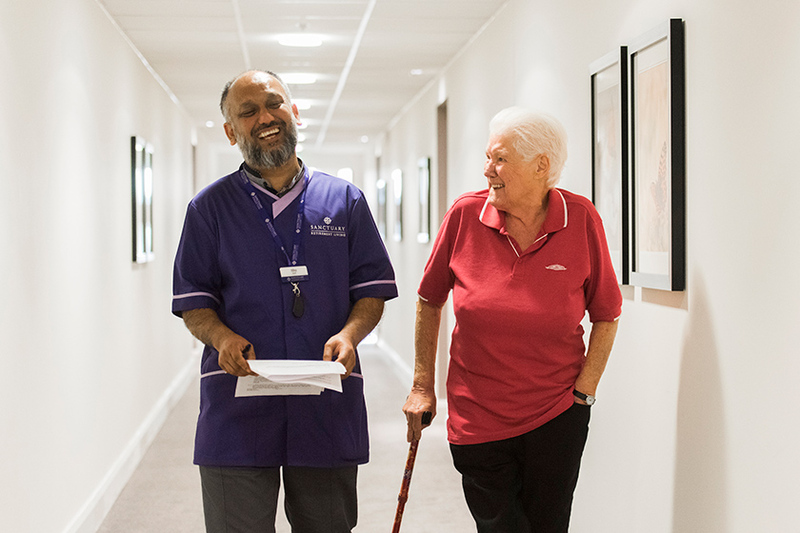 All Sanctuary Retirement Living properties have 24-hour onsite care teams, which provide a range of flexible care and support. A daily wellbeing check and emergency support are included in your peace of mind charge. Pull cord alarms and emergency support are included. Any additional care and support is tailored to suit your needs, so you only pay for the services you need or choose. In some properties, our own Sanctuary Retirement Living care team can provide you with care and support, and in other properties, there is a local authority chosen care provider in place. Visit our property pages to find out who the care provider is at your local service. 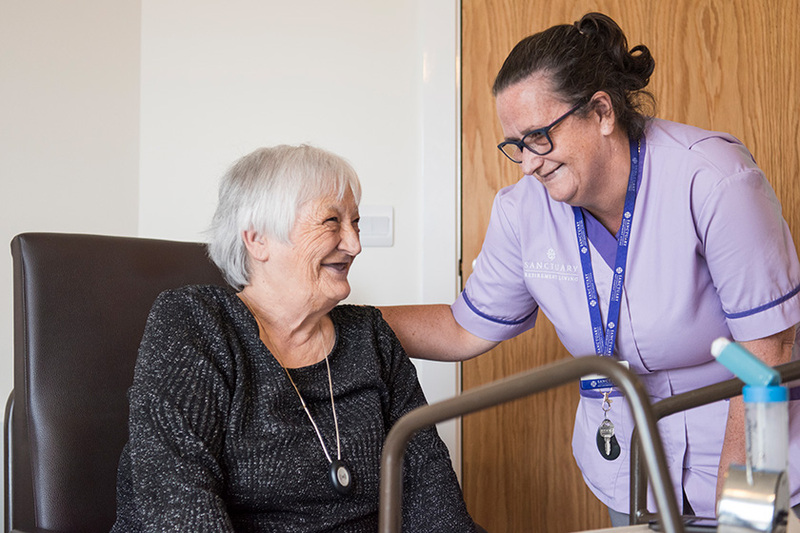 As part of our application process, we will assess your care needs to make sure our property is suitable for you, but the care and support we provide is flexible and can be changed to suit your needs. We also have strong links with local doctors, dentists, hospitals and social workers, to ensure you receive the best possible care and support. Assistive or telecare technology provides peace of mind while you’re still living independently. As part of the sign-up process, you’ll receive a pendant or wrist alarm depending on your preference, providing you and your family with the reassurance that help is at hand if you need it and that you’re never on your own. Apartments in all our properties are fitted with a pull cord alarm system in each room, just in case you’re not wearing your pendant or wrist alarm. You can install additional technology if you like, which can be provided by Sanctuary365. Choosing to move into a Sanctuary Retirement Living property means you don’t have to give up anything you love.